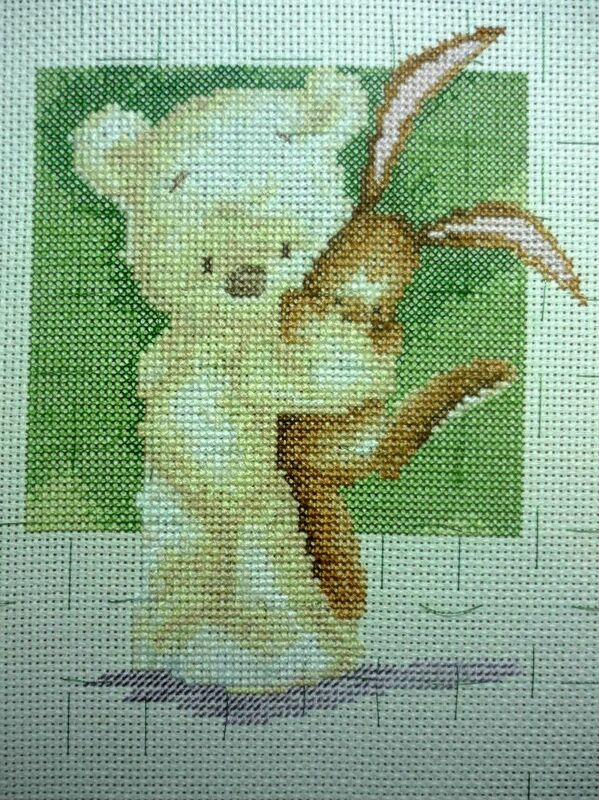 Naughts & Cross stitches: Lickle Ted - crosses done now onto backstitching! :D All the cross stitch is done as well as all the half crosses. Now onto the back stitching! That will take a little while it is a bit picky going with lots of fiddly parts. This is where I wish I had been stitching on evenweave! Looks great. You changed the background colour from pink? This is in my to-do-pile for myself one of these days...^^ Was the different shades of brown difficult?